Ah... so cute! A (truly) mini shadowbox (approx. 2" x 3" inside dimension). About 7/8" deep (outside dimension). This shadowbox is also included in the Christmas Nostalgia Kit; see all the other kit components available to buy separately. 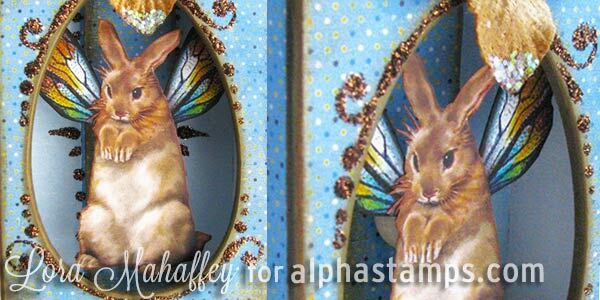 Design Team Member Lora Mahaffey made Easter Shadowbox and the Little Blue Bunny (see the wide photo below). More info in the blog and/or see the supply list.